Hannah Adamson, Sophie Adamson, Grahame Alligan, Paige Ambrose, Dan Ansell, Jack Armstrong, Kate Atkinson, Lisa Austin, Jeremy Bailey, Aidan Banks, James Bannister, Stephen Bardle, Lydia Barker, Daniel Barley, Dan Barrett, Daniel Bartlett, Amy Bartlett, Rachel Baulch, Zehnup Bektas, Ade Benjamin, Aaron Betts, Sandeep Bhargava, Nick Birtles, Georgina Bowaters, Alex Breen, Sarah Brooks, Josh Buckland, Lucy Buckland, Zehnup Bulbul, Lee Burke, Peter Bush, Bobby Campbell, Amy Carlan, Jennifer Chapman, Carl Charlson, Nicole Chaytor, Suzie Cicoria, Faith Clark, Connor Clarke, Max Clarke, Stuart Coe, Bronellia Cornwall, Katie Cox, Jake Cox, Tom Craddock, Graham Crane, Emily Crossley, Jose Cruz, Ilyaas Daar, Jack Dann, Laura Darton, Silvie Daviesova, Emre Demiria, Oscar Dodds, Katherine Dooley, Madeline Donnelly, Paul Dudley, Fiona Dunn, Saby Dutta, James Eales, Rebecca Edmonds, Genevieve Edwards, Izzy Emery, Michelle England, Jamie Evans, Matthew Fishwick, Selina Forbes, Emma Ford, Elizabeth Ford, Annabelle Gedye, Paul Gellard, Nathan Gibbs, Simone Gibbs, Stephen Glithero, Ben Glover, Tom Gray, Joe Green, Hannah Green, Robert Green, Marta Gruszczynska, Martyn Hall, Kristi Haller, Lauren Hamilton, Sarah Hammill, Gary Harding, Tom Harris, Daniel Harris, Brendon Hastings, Holly Hayward, Sarah Henderson, Max Herriot, Alan Herron, George Hersant, James Hewett, Martin Hill, Simon Hoad, Danny Honey, Annie Hunt, Elvan Ilagan, Olivia Jackson, Kadine James, Ash Jeffries, Paul Jennings, Jazzy Jolliman, Andrew Jones, Michael Jones, Paige Jordon, Ibor Kapikara, Scott Kemp, Oliver Kennedy, David Kiddie, Alexandra Klein, Meenakshi Krishnamurthy, Vaidas Kryziokas, Kieran Kulkarni, Vinay Kumar, Kate Launchberry, Hugh Leekam, Jamie Leekam, Slane Le-Froy Brooks, Yutanna Lenkhum, Craig Lewis, Adam Lovell, Bridget Mackernan, Matthew Maddren, Samir Malit, Abby Marshall, Nadine Marshalsay, Tim Mason, Mathilde Maupertuis, Lucy Mayo, Emily McClemont, Anne McGlashon, Ollie McLaughlin, Lucy Meakins, Dalia Merecinskaite, Codice Michel, Gemma Milburn, Heli Mokko, Simon Moss, Amanda Muir, Luke Mulcahy, Shaun Munoz, Sophie Nash, Ellis Newman, Matthew Newton, Berryl Odira, Mark O’Reilly, Daniel Ormes, Marilee Page, Ollie Palmer, Daniel Parkhouse, Sam Payne, Tom Payne, Jordan Pellant, James Perryman, Elliot Pike, Josh Pilborough, Shaine Price, Sophie Pullin, Khange Puncher, Ben Purcell, Nadeem Qureshi, Grace Rawlins, Lucy Ridgewell, Jemma Robinette, Katie Robinette, Annette Rogers, Lavinia Rogers, Rebecca Rogers, Simon Russell, Jade Ryan, Sean Sathurath, David Saunders, Kelia Scott, Rory Scott, Hasdeep Sethi, Taz Sharif, Alex Sharp, Justin Shelvin, Dean Shillingford, Luke Sibley, Oliver Simcox, Simon Sinclair, Beatrice Smith, Craig Smith, Luke Smith, Kyle Southey, William Southwell, Emma Spears, Rosie Stacey, Kerry Stanley, David Stansbury, Elliot Stein, Natasha Strange, Robert Sutton, Daniel Tatler, Sandra Temple, Stuart Thomas, Clare Thomas, Zane Tibble, Sara Titchen, Maxwell Titheradge, Perry Toomey, Jake Turton, Martha Warner-Smith, Matthew Warrender, David Weatherly, Cy Weaver, Taylor Weeks, Ben White, Craig White, Shaun White, Jemima Willgoss, Gordon Wood, David Wright, Idris Wuire, Jessica Zhou, Johnny Zhou, Lizhu Zhou. If you are looking for driving lessons in Hertford, if you want to pass your driving test, or if you want to pass your theory test, then come to Pelican School of Motoring. We're the leading school in the area for Hertford driving lessons. Pelican has helped over 1,000 people learn to drive since 1992, so we have all the knowledge and experience to help you pass your driving test or theory test too. Whether you're a complete beginner or just need refresher lessons, want help with your theory test or just need a bit of driving advice, we're here to help. Just call! 'Pay-as-you-go' lessons - just pay and drive, one lesson at a time. 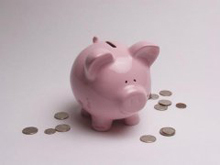 Block-booking discounts - save money by booking your lessons in advance. Discounts for daytime lessons - drive any time Monday to Friday between 9.30am and 5.00pm and get discounted lesson prices. Intensive driving courses - need to pass fast? Take one of our intensive courses. Theory test help - struggling to get to grips with the theory test? Let us help get you through it. Pass Plus courses - Just passed your test? Do a Pass Plus course and get cheaper insurance. Motorway lessons - learn how to survive life in the fast lane. 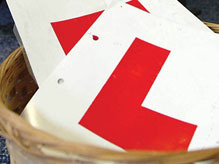 Refresher driving lessons - Passed your test ages ago but too nervous to drive? Let us help you get your confidence back behind the wheel. Advanced driving lessons - Take your driving to the next level. Please call us now on 01992 589783.